Prevention is key to maintaining a vibrant and healthy smile. After all, it is easier to guard against potential issues than to struggle with damaged oral health and undergo restorative care. At Aesthetic Dentistry of South Miami, Dr. Todd Barsky and his dedicated team offer several preventive services. By becoming a valued member of our practice, you can enjoy our beneficial support, guidance, and quality care. We strongly recommend that patients of all ages attend at least two checkups and cleanings each year, or one every six months. Even when practicing diligent oral hygiene at home, there are still problems that can develop and remain hidden. 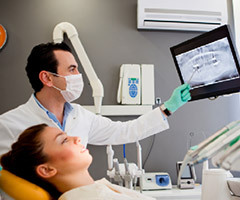 With the help of digital X-rays and other advanced technology, your dentist can carefully inspect the surfaces of your teeth, your soft tissue, your bite, and other important areas that contribute to your overall health. Additionally, a cleaning appointment will allow us to eliminate persistent plaque and tartar and leave you with a smile that feels revitalized. At Aesthetic Dentistry of South Miami, our dental team wants you to feel comfortable and welcome from the moment you first step through our door. We will greet you by name and provide you with any medical forms you need to complete. Once you are in the treatment room, we will take X-rays and perform a thorough examination so that we have a complete picture of your oral health. Your dentist will then work with you to formulate a personalized treatment plan that meets your needs and accommodates your schedule and budget. Your initial oral examination includes a visual examination, charting, periodontal probing, diagnosis and treatment recommendations. We will also take x-rays, which includes the full mouth series of radiographs for proper diagnosis of the anterior (front) and posterior (back) teeth as well as the bite-wing x-ray series for proper diagnosis of proximal decay of posterior teeth. Pits and grooves on the chewing surfaces of back teeth often trap pieces of food or bacteria, making it difficult for a regular toothbrush to remove. With dental sealants, these areas are better protected against the threat of cavities. The process is simple: we apply a tough, plastic material to the tops of your teeth. This sealant is designed to immediately bond tightly to the tooth’s enamel, so your teeth are strengthened against decay. One American adult dies every hour from oral cancer, tens of thousands are diagnosed (many in very late stages) every year, and the current survival rate is only 59 percent if the cancer spread to nearby lymph nodes. Despite these numbers, the survival rate rises to around 80 percent when oral cancer is diagnosed early and is still focused in the area where it started. Treatment is easier and less invasive when a diagnosis comes earlier. Therefore, your dentist and his team at Aesthetic Dentistry of South Miami make oral cancer screening a top priority during each regular checkup. We rely on OralID, a state-of-the-art tool that can detect cancerous cells within your mouth simply and quickly. Resembling a flashlight, the device is small and non-invasive. With the help of proven fluorescence technology, OralID can scan your mouth in a matter of minutes, clearly identifying oral abnormalities, including those beneath the surface that cannot be found by touch or sight. If there is a suspicious area, we can help you take the next steps toward a fast and confident diagnosis. In the past, X-rays were tedious to develop, difficult to store and required patients to undergo a dose of potentially dangerous radiation. 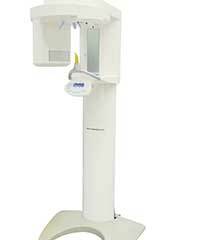 Today, our South Miami dental office is happy to offer digital radiography as a state-of-the-art alternative. With digital X-rays, there is no darkroom required – instead, images are quickly visible on a nearby monitor and can be enlarged and color-coded for patient education, as well as stored electronically for convenience. Furthermore, the process exposes patients to up to 90 percent less radiation than standard x-rays. South Miami dentist, Dr. Barsky prefers a series of full-mouth radiographs to arrive at the most accurate diagnosis ensuring that every patient receives the proper care and procedures necessary. Are you ready to start working toward the oral health and beautiful smile you deserve? Contact Aesthetic Dentistry of South Miami today if you have questions for our staff, or if you are ready to schedule your first appointment. With revolutionary technology and an experienced staff, we cannot wait to serve you.